With any new iPhone release Speck's product line always sets the bar on new case releases. With this years release of the iPhone Xs and Xs Max, their product line was updated to fit both new iPhones size, in addition the iPhone Xs camera location. The Speck Presidio Pro offers a light weight solution to those familiar to the Speck brand. This light weight solution to not effect the over all protection for your device. With a rated 10-foot drop-protection with what Spec calls "IMPACTIUM" shock barrier. These ridges on the inside perimeter of the case compress on impact to absorb and disperse shock. I have drop my device numerous times at work for all heights, the highest that I can recall was around 8-10 feet while on a ladder, when I was working in a ceiling. and though some small rough marks on the case, I would say it's done it job and done it well, the iPhone Xs is still flawless. 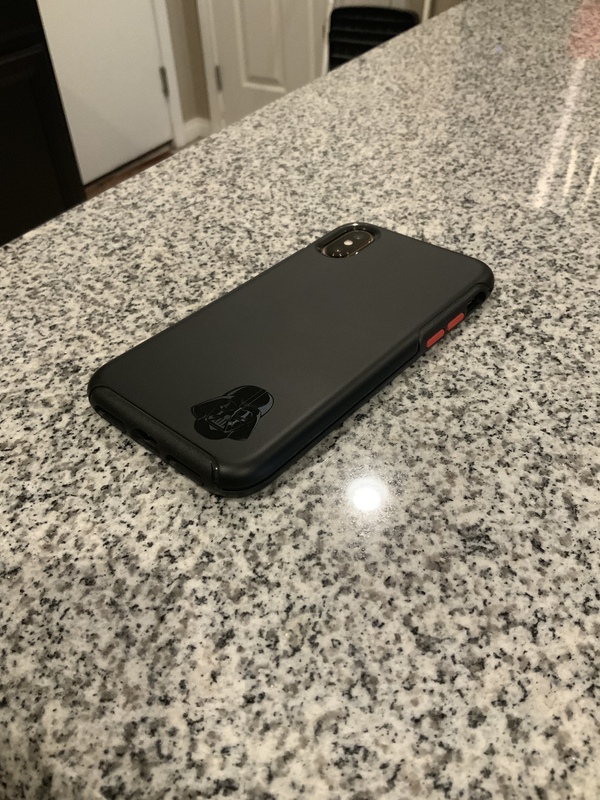 The case snaps securely on to the iPhone, though a word of caution, if you are a user who switches out cases quite often, the Speck Presidio Pro locks on so well it be quite a pain to peel off, but once it's on, it's not going anywhere. The exterior of the case offers two tough and durable layers of protection. A poly-carbonate outer shell and an inner shock layer as mentioned above. The outer and inner lining are molded together to give you two layers of protection. Soft-touch, scratch-resistant finish. Presidio PRO cases are grippy and soft with a scratch-resistant finish to keep your case looking great even longer. In addition Speck applies anti-microbial treatment to the case, this inhibits the growth of bacteria on the case. All buttons are stern, and function daily with out any issues. The thickness of the case frame makes the ringer switch sit deeper then most cases on the market, but it's still accessible. The raised bezel gives phone screen extra protection from scratching and shattering if your phone falls and lands face-down. Case friendly screen protectors that I have used so far, function with out issue with the case on, allow for a seamless edge to edge protection. As always I am impressed with products from Speck and I know they can handle my day to day work environment and then some. Those looking for decent protection for their device, give the Speck cases a try, You may surprise yourself on how well they hold up for normal usage. Speck as with all of their cases back them up with a Lifetime Warranty. I use the presidio pro on my Xs and I love it. I agree with every statement above. Which otter box is this? I have the same case. It’s the symmetry available at BB.